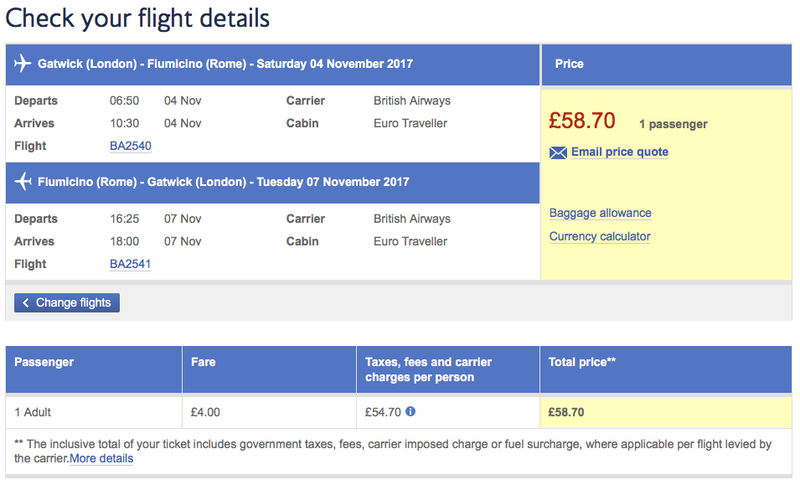 From yesterday until September 19th, British Airways have a sale from Gatwick, offering up to 250,000 seats for £30 one-way, but when purchased as part of a return ticket. On the face of it, this is a great promotion, but I thought I’d dive into the reality of what the availability looks like. 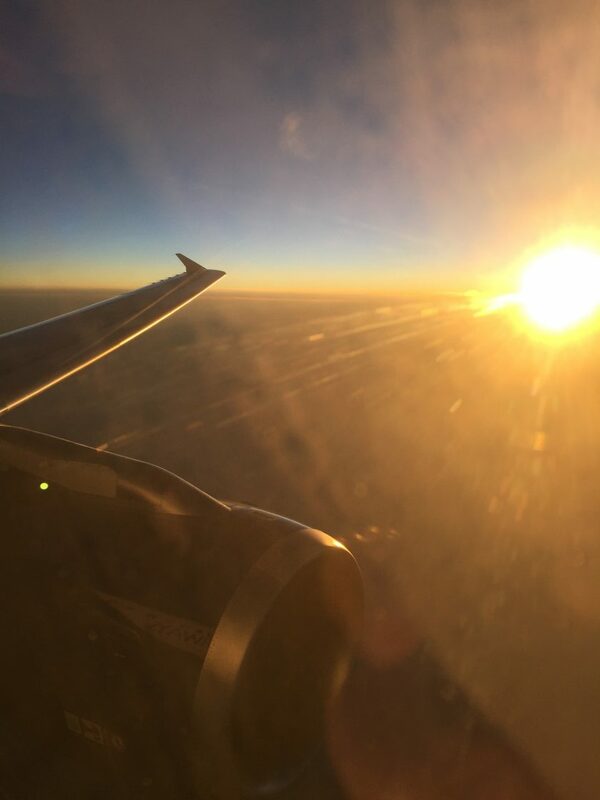 I did a quick search on Expertflyer for a return journey to Vienna (as an example) to see if I could identify the exact fare basis and see if there were any other interesting quirks to the fare. From the display, it looked like it was the top fare, with the OV2K fare basis, as it requires round-trip travel. Digging into the fare rules under the sales restrictions, it has this clause. TICKETS MUST BE ISSUED ON/BEFORE 19SEP17. TICKETS MAY ONLY BE SOLD IN AREA 1/AREA 2/AREA 3. The end date for the promotion is the 19th, so I’m pretty certain this is it. Now that we know what fare class it books into, it makes it a lot easier to use tools like Expertflyer to find availability. 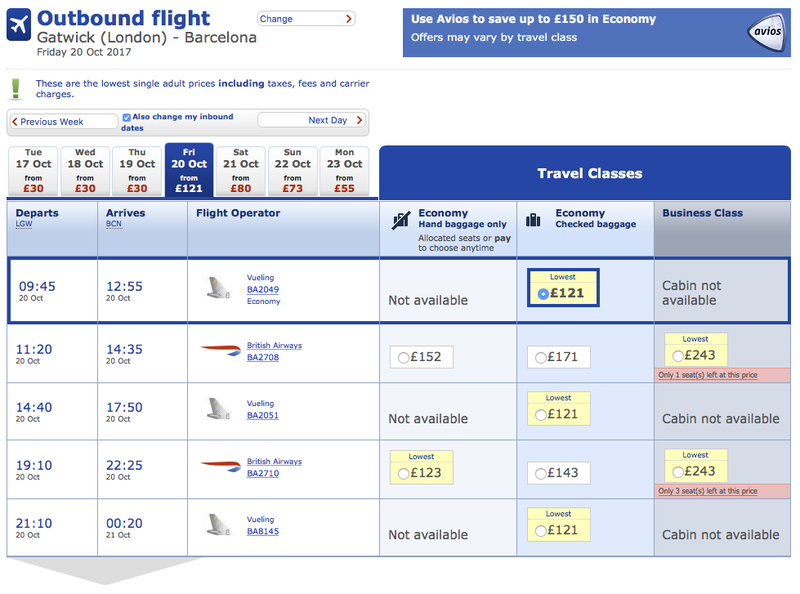 However given we’re looking at point-to-point flights, the interface on BA.com isn’t bad either. I was looking at a weekend away with a friend towards the end of October. So started looking for availability. Searching up until November for a variety of destinations, I couldn’t find any location that worked for a weekend away. There was however some availability mid-week, at frankly rubbish times. This was the best that I could find for a trip to Rome, for example. I’m sure that you could spend more than £58.70 getting to Gatwick for a 06.50 flight than picking a more reasonably timed alternative. 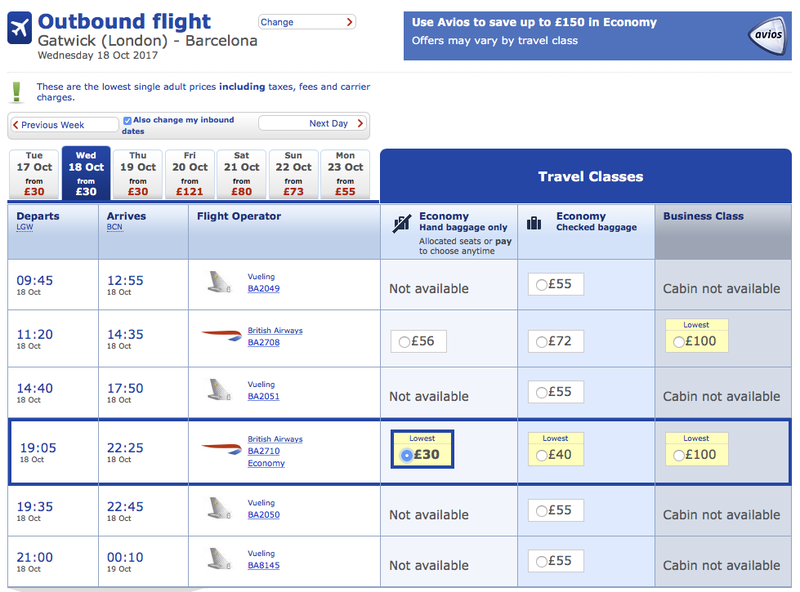 So it’s good that British Airways are doing this, and if you’re able to find days and times that work for you, great. However I suspect this promotion will be of very limited use to most people, and it’s probably being pushed to draw people into the site and perhaps book something more expensive that’s convenient to them, rather than the £30 return fare. If you do manage to take advantage of the fare, let me know in the comments or on Facebook! Previous Post: Throwback Thursday. Concorde stuff. First class in 2004. Next Post: Challenge. Brazil in February.